Listen Now --- During an interview on The Breakfast Club radio show, many honed in on the Democratic presidential candidate’s reply to the question of whether she smoked marijuana. “I did inhale,” she confirmed, later saying that she smoked weed back in college. 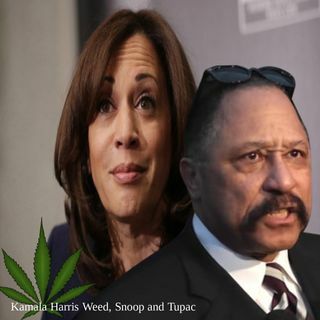 While discussing the legalization of marijuana, Harris said, “Listen, I think it gives a lot of people joy, and we need more joy in the world.” Later on, there was an exchange that ... See More may have resulted in either an admittedly ridiculous answer or, more likely, a reply that was misconstrued. “What was you listening to when you was high? What was on? What song was playing?” Charlamagne Tha God added. “Was it Snoop?” DJ Envy interjected. “Oh yeah, definitely, Snoop. Uh huh, Tupac. For sure, for sure,” Harris said. People on the internet assumed that Harris was answering Charlamagne’s question, and quickly realized that in this case, the timelines don’t quite match up. Harris graduated college from Howard University in 1986 and graduated from the University of California, Hastings College of the Law, in 1989. She was then admitted to the State Bar of California in 1990 and served as a deputy district attorney in Alameda, County, California, from 1990 to 1998.